I rarely have breakfast at any shops along Monzeki street because those shops have seats outside. Too hot in Summer, and too cold in Winter. Especially I hate the smell of simmered pork innards. 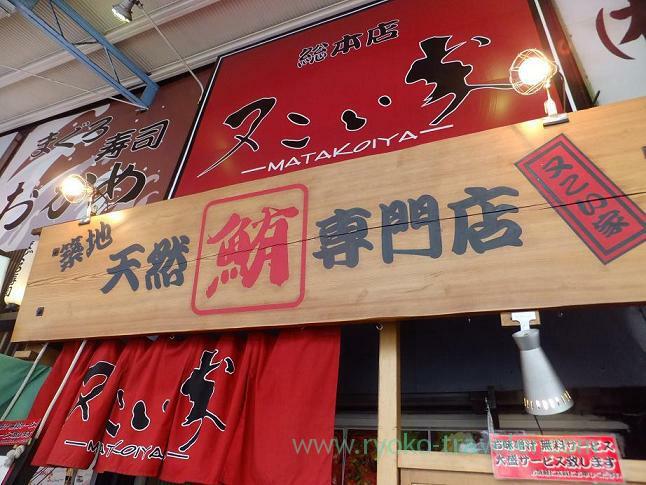 But I wanted to try Matakoiya and finally I had a chance to visit there. 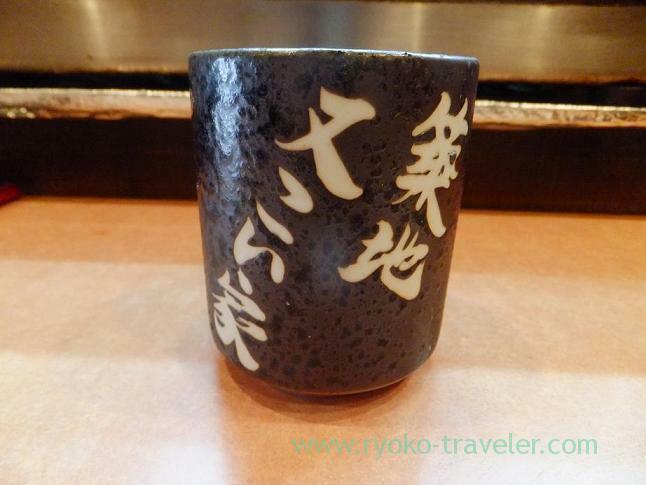 It is located along Monzeki street stating point from Harumi street. There’s a menu outside and there’s a ticket vending machine. Miso soup is included. Large helping of rice is free of charge. I chose a Matakoi-don (又こい丼, 1000 yen). It have the word of shop name. I think this is their recommendation. 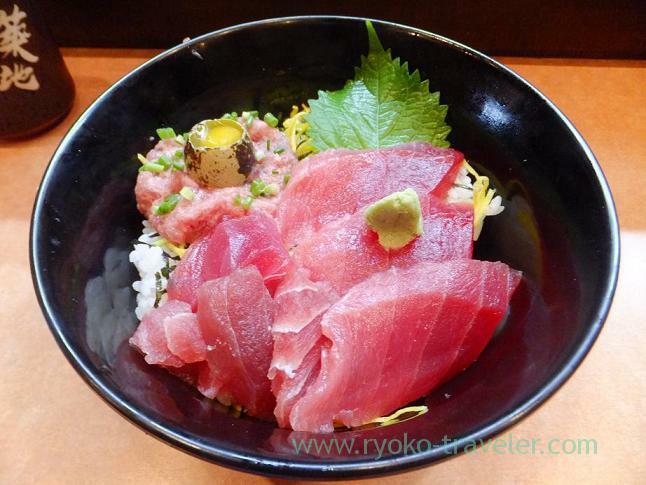 Matakoi-don have slices of tuna, negitoro and quail’s egg. And rice was dried. 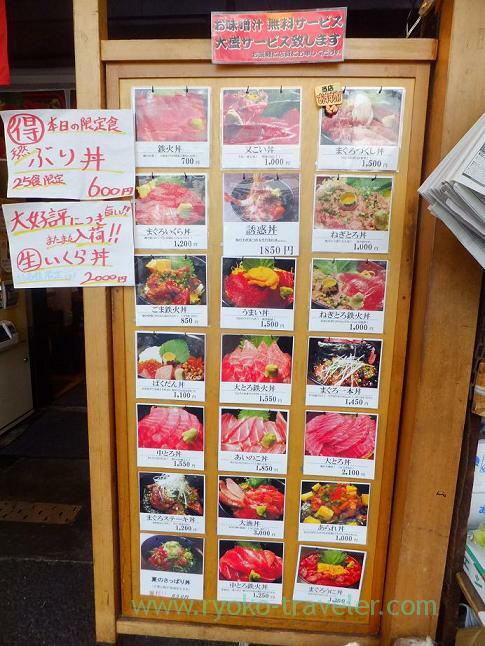 I think their shop have not good condition for retaining the quality of foods. Monzeki street is difficult place, I think. 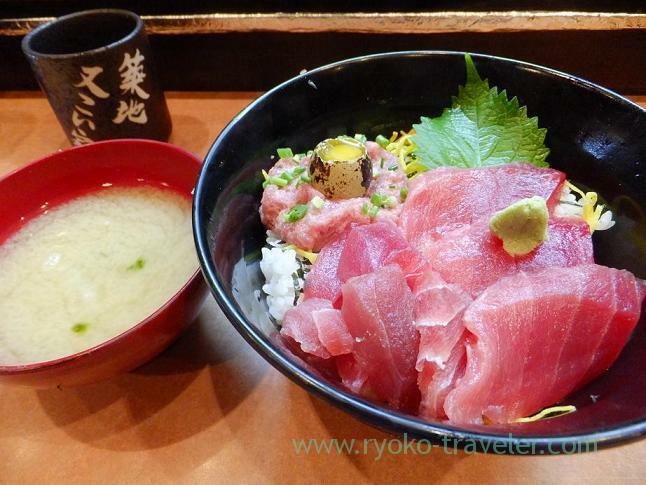 I think they can’t serve sashimi bowl at good condition at least breakfast time because they don’t have much guests. Perhaps they held those ingredients much time. Open / 6 a.m. – 10 p.m., Sundays and another national holidays until 9 p.m.